Rumchata Pecan truffles and Baileys Truffles are the best things ever! 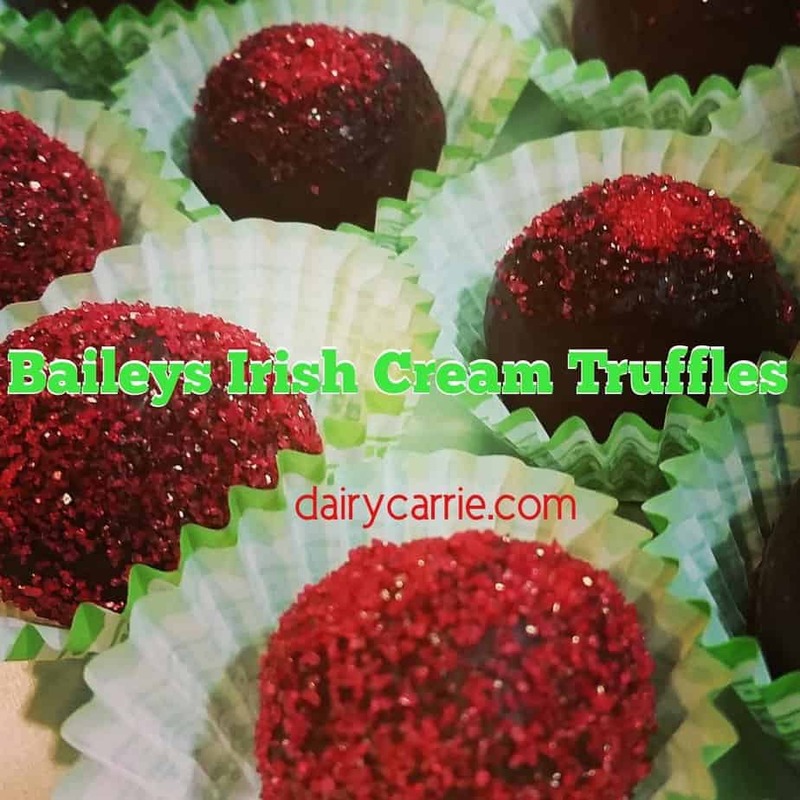 This post is a continuation of this post, where I share my recipe for Baileys Irish Cream Truffles. Go ahead and click, your browser will open up that recipe in another tab and you won’t lose this one! 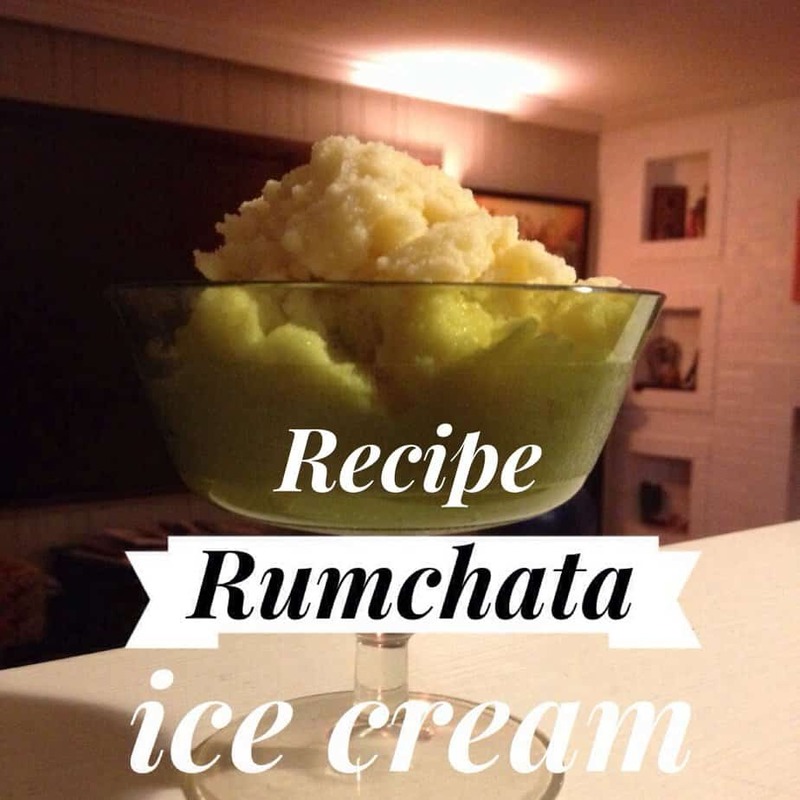 If you’re new here, you may not know that I am possibly the biggest fan of Rumchata ever. If you’ve been around a while, this isn’t a newsflash for you. Not only is Rumchata delicious, it’s also a Wisconsin dairy product, as a Wisconsin Dairy farmer, this makes me extra happy! 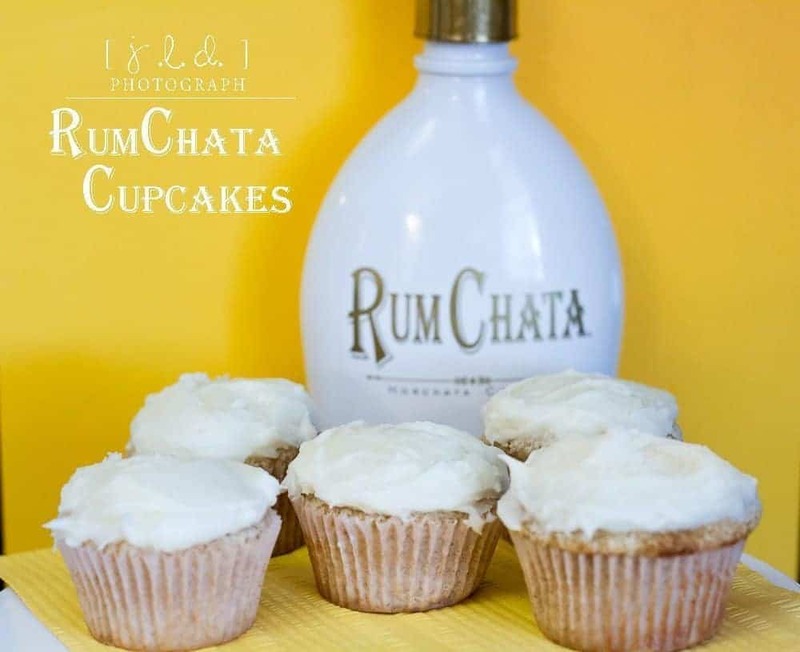 If you’ve never heard of Rumchata and you’re thinking, slow down Carrie, before I make a recipe I need to know what Rumchata is and what Rumchata tastes like, you should go read this post. It will answer all of your Rumchata questions. One day soon, I’ll need to do a post about Rumchata’s sister drink, Tippy Cow, but that’s not what we’re here for today. Now that we’re all caught up on what Rumchata is, let’s talk about these truffles. I could have made the same recipe as the Baileys Truffles, using Rumchata instead of Baileys Irish Cream but I wanted to mix it up a little and I didn’t want the dark chocolate to overpower the flavor of the Rumchata. 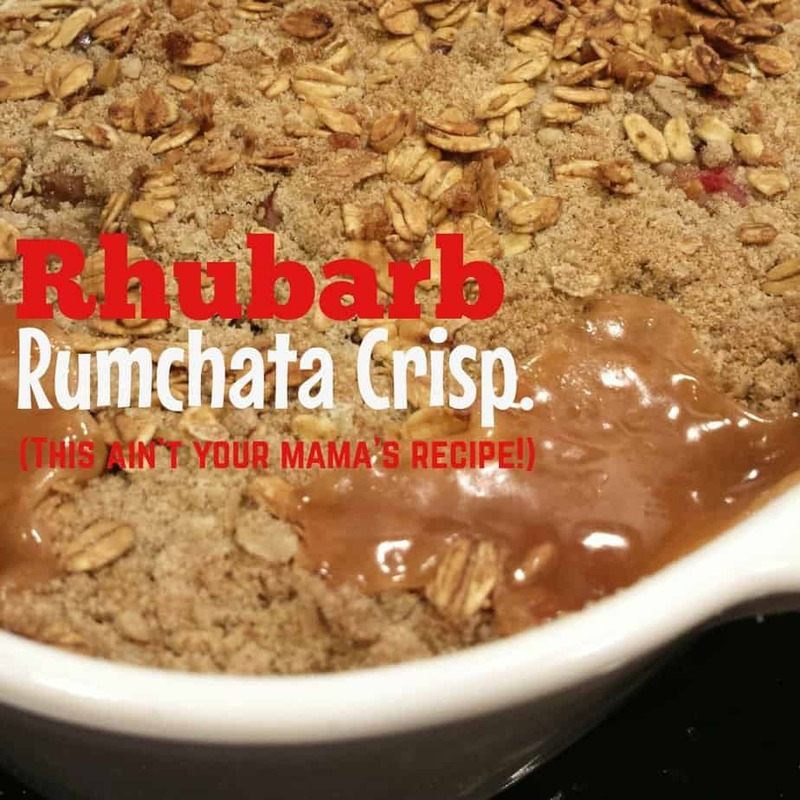 I headed to Pinterest to find a different idea and came across this recipe, which seemed like a good place to start. From there I played around with what I was after and made my own spin and now I am sharing it with you. Put the Nilla wafers and pecans into your food processor and crush them until they are fully pulverized. If you don’t have a food processor, you can crush them in a freezer bag with a rolling pin while you think about someone you’d like to hit. Either way, make sure you have the wafers and nuts crushed as fine as you can get them. Put the crumbs into a microwave safe mixing bowl. In your microwave, melt 1 cup of the white chocolate chips. Start with 1 minute, take them out and stir, if they need more time put them back in for 30 seconds, take them out and stir again. Repeat as needed to get the chips fully melted. Stir melted chocolate into the crumb mixture. Add Rumchata and mix thoroughly. Decide if you want to do traditional ball shapes or rectangles. If you’re feeling extra fancy, you could probably use little cookie cutters to make some basic shapes. If you want to do squares or rectangles, pull out a 6×6 or 8×8 pan and line it with Saran Wrap. Take your mixture and pack it into the pan firmly. For balls, just leave it in the bowl you mixed it in. Put the mixture into the fridge for a few hours. Pour yourself a Rumchata on the rocks and enjoy. Once the mixture is cool, get some cookie sheets with parchment paper ready. If you want to do balls, scoop small amounts into your hands and roll into bite sized balls. Place them on your cookie sheet and put them in the fridge. For other shapes, take the chilled mixture out and cut into bite sized shapes. you may need to smooth up the edges slightly with your hands. 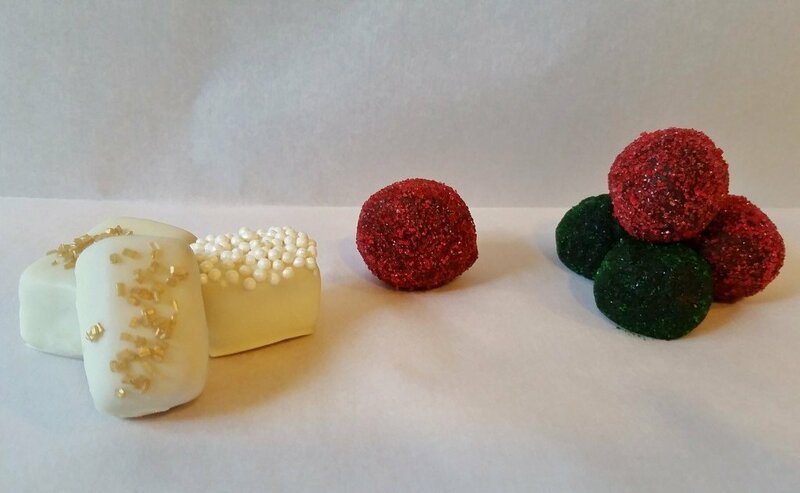 After you’ve finished forming your balls or whatever shape you’ve decided to do, put them back in the fridge while you get the white chocolate ready for coating. Place remaining 2 cups of white chocolate into a bowl and melt in microwave or double boiler. Spear your balls/shapes with a toothpick and cover them in chocolate. Place on parchment lined cookie sheet to cool, immediately add sprinkles or other decorations. You have to add sprinkles after each one because the white chocolate sets quickly. Allow to cool and you’re done! Both of these treats will be on this year’s goodie plates for our farm’s veterinarians, our milk hauler, our cow breeder, our nutritionist and our milkers. They will have to share some space with the toffee I make every year as well as a few other surprises I’m trying out and will share later! « Booze Balls! Baileys Irish Cream Truffles Recipe. Booze Balls! Baileys Irish Cream Truffles Recipe. 6 Comments on Booze Balls! 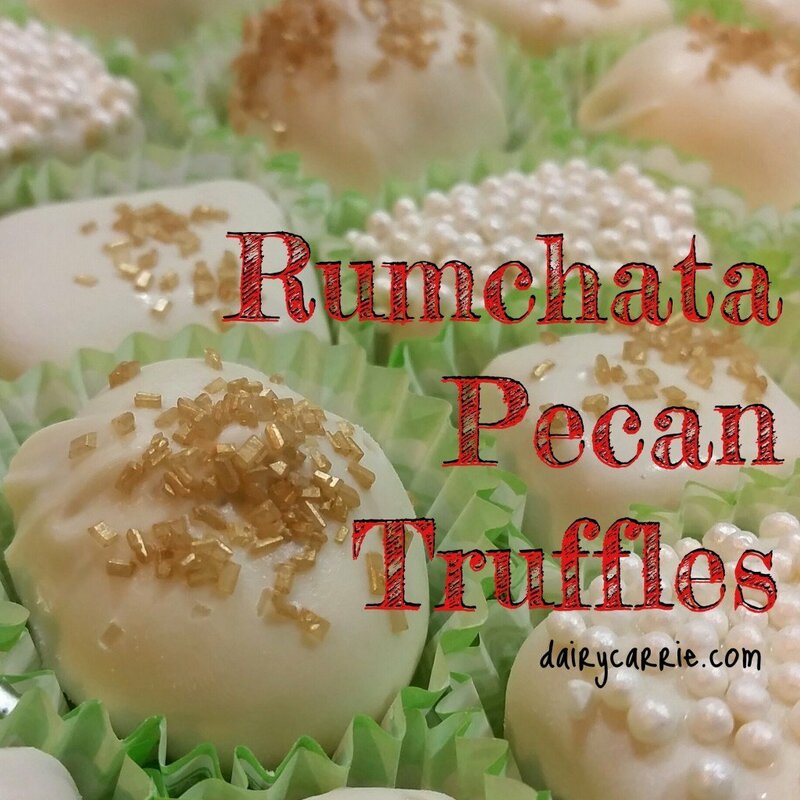 Rumchata Pecan Truffles Recipe. It this is wrong, I don’t want to be right! I made these today for my Mom. Turned out amazing! Thanks so much!